There were 5 hot trends at the 2014 CES (Consumer Electronics Show). CES is the annual technology show that exhibits the latest and greatest that the digital future holds. Here are the two mind-blowing things that caught my attention! Flat-screens now bend and curve to the user’s will. 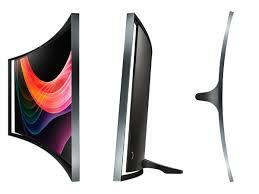 TV makers, including Samsung and LG, rolled out massive high-definition TVs featuring a curved screen. In some cases, the TV screen bends with the touch of a button, giving users the option to watch programs with a flat or curved display. The latest tech fest featured demonstrations of “autonomous cars” that take over the driving. BMW and Audi unveiled their latest driver-less car technology and conducted demonstration drives. Nevada is one of a few states where it’s legal to test drive autonomous cars, though it requires a person to sit in the driver’s seat at all times.